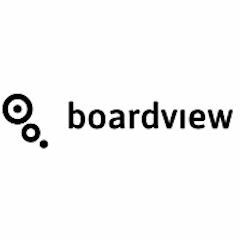 Boardview offers a visual marketing management tool designed to help marketing teams drive agile growth. Boardview's user friendly platform enables all team members to participate and understand growth goals, encouraging a sustainable, successful team effort. Boardview's visual marketing planning platform makes it easy to map out a strategy, setting goals and milestones along with tasks required to bring a campaign to completion. Team leaders can easily drag and drop objectives in a Boardview Tree, convert it into an interactive infographic and share with the whole team.